Amphenol Invotec has installed a state-of-the-art Dynachem inner-layer dry film lamination line capable of handling 25 micron cores. “This equipment line forms part of a £1.5 million investment and will ensure that we are suitably placed to meet the demands of our markets over the coming years. 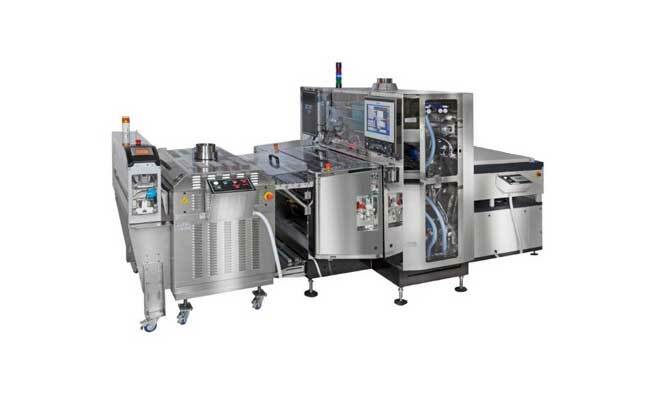 By making this commitment not only are we improving our process capabilities but implementing the latest in dry film lamination technology.” said Tim Tatton, general manager of Amphenol Invotec. “After comprehensive benchmarking against other leading lamination system manufacturers, the Dynachem solution was chosen as the stand-out choice; a proven and robust system for laminating fine line circuitry. Dynachem are an established supply partner and delivered exceptional after sales and service support,” said Steve Kerr, process engineering manager of Amphenol Invotec. Operating from facilities in Tamworth and Telford, Amphenol Invotec is one of Europe’s leading manufacturers of time critical, high technology printed circuit boards. The company manufactures a wide range of multilayer, HDI, sequential lamination, flex and rigid-flex PCBs using a variety of advanced materials, finishes and technologies to meet exacting customer specifications. For more information visit www.amphenol-invotec.com.